Reconciliation and Change in Sri Lanka - Diaspora Action Australia | Peace. Development. Human rights. 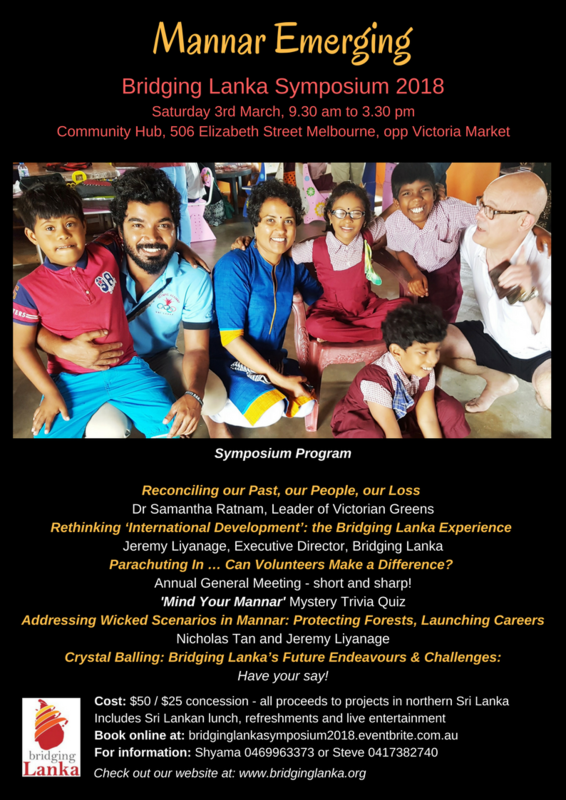 On Saturday 3rd March Bridging Lanka is conducting a symposium about our diaspora work in Sri-Lanka. The Greens leader in the Victorian Parliament, Dr Samantha Ratnam, will open the proceedings. She is a truly inspiring speaker who will be discussing the complex issues of reconciliation and healing with the Sri Lanka context. Bridging Lanka’s challenges and achievements will also be highlighted.